Two luxury trim levels are added for 2002: S80 T6 Executive and S80 T6 Elite. Engine choices are a twin-turbo 2.9L I-6 w/268-bhp or a 197-bhp non-turbo version of the I-6. 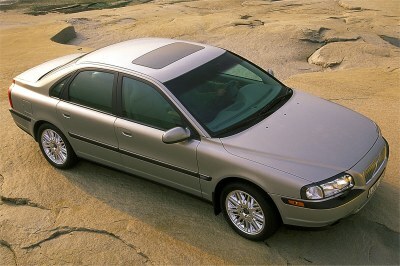 All S80's are equipped with a 4-speed Geartronic automanual and stability/traction control. Options include: a DVD/TV entertainment system, rear seat refrigerator, electric rear sunshade, & 200-watt audio system.